Streaming media sticks turn a dumb TV into a connected smart TV. Just plug-in the streaming media stick in the HDMI port of any HDTV and connect to the Wi-Fi network and you are ready to go. You can now play your videos, music and photos on your HDTV. HDMI streaming media sticks also let you cast your favorite apps to the HDTV and also mirror your smartphone/tablet screen on the TV. 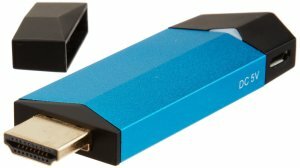 HDMI streaming media sticks are small and cheap. Listed below are the top 5 cheap HDMI streaming media sticks. 1. 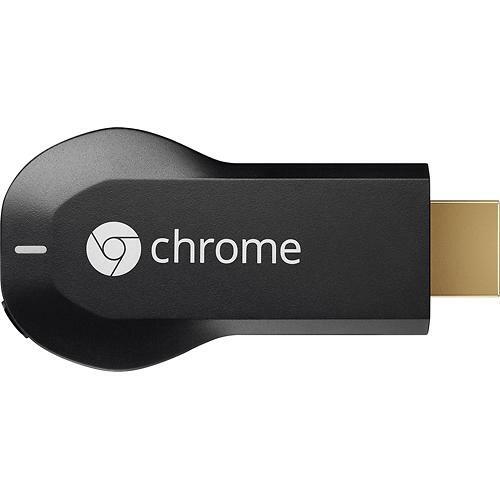 Google Chromecast: Chromecast, the HDMI streaming media stick from Google is the best streaming stick. It is cheap, easy to setup and easy to use. Plug the Google Chromecast into any HDTV HDMI port and stream online video, music and photos to your TV. 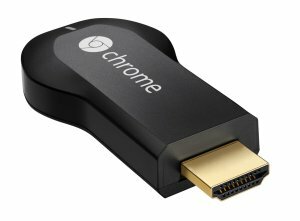 The Chromecast HDMI streaming media stick doesn’t require a remote control and can be operated with your smartphone or tablet (both iOS and Android). Popular apps like Netflix, HBO Go, ESPN, Hulu Plus, Youtube, Pandora, Rdio etc. work with Chromecast. 2. Roku 3500R Streaming Stick: The Roku 3500R Streaming Stick is a tad bit costly when compared to the Google Chromecast, but, Roku makes up for the high price with an included remote and Roku also boasts of the maximum number of channels among the streaming media players which stands at more than 1800 entertainment channels. 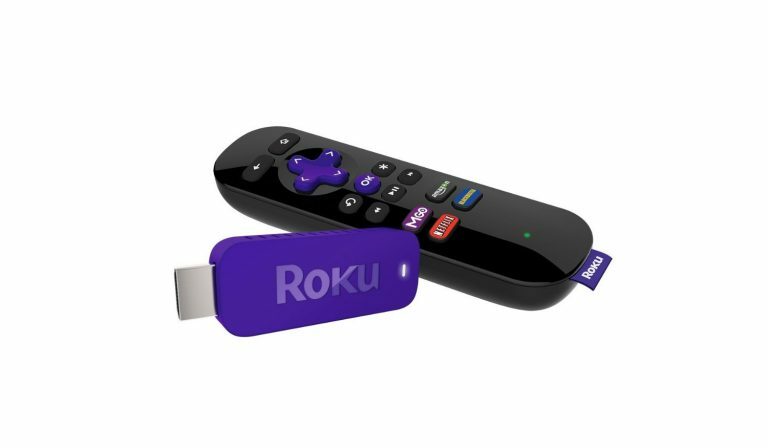 The Roku Streaming Stick can be operated with a remote, smartphone or a tablet device (both iOS and Android). 3. 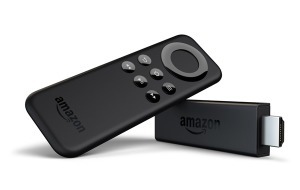 Fire TV Stick: The Fire TV Stick ships with powerful hardware. It is powered by a dual-core processor, has 1 GB RAM and 8 GB of internal storage. The Fire TV streaming media stick lets you watch your favorite videos from apps like Netflix, Hulu Plus, Youtube, Twitch, ESPN etc. and listen to your favorite music from apps like Spotify, Pandora etc. on your HDTV. You can also play games like Flappy Birds, Sonic 2 and Tetris on your TV with the remote or a dedicated Amazon Fire Game Controller. The Fire TV Stick currently has an app only for Android devices and the iOS app should be available any time soon. 4. Tianle Android Streaming Media Stick: The Tianle Android Streaming Media Stick ships with a few apps pre-loaded on it and you can download more apps from the Google Play. You can also browse the web and play videos, music and photos on your HDTV. You can navigate the on-screen display with a mouse or a mobile device (install the Google TV remote app on your mobile device). 5. 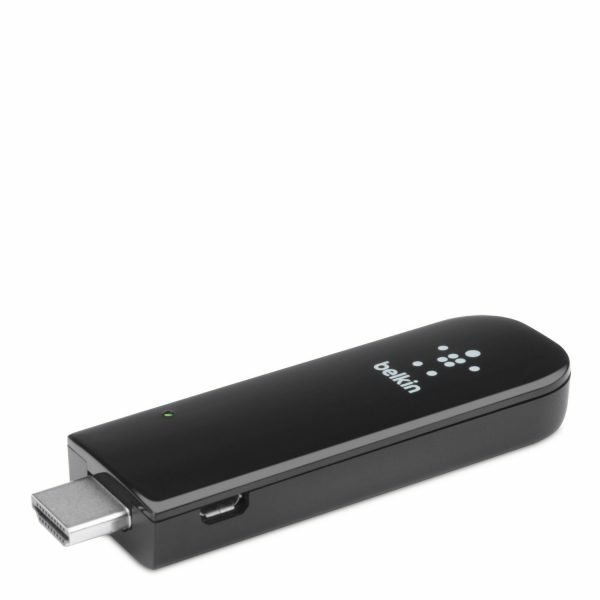 Belkin Miracast Video Adapter: The Belkin Miracast Video Adapter has very simple functionality. It just lets you wirelessly stream videos, music, games, apps and photos from your smartphone, tablet device or Windows laptop to a HDTV. These are the top 5 best cheap HDMI streaming media sticks. Which among these do you think is the best HDMI streaming media stick.